I’ve always been a morning runner. Long before I had 5 kids as alarm clocks, I woke up before the sun to go running with friends. As a college student, there was some satisfaction in marking one thing off my to-do list nice and early. As a parent, it’s nice to start my day with ONE thing that is just for me before I start the hard (rewarding) work of mommying. I never run alone in the dark as a safety precaution. I also run with my smartphone (most of the time) and a pretty high-energy dog, courtesy of my friend Kristin. Sometimes I take pepper spray too, based on the time of day and terrain. I’m not a paranoid or nervous runner but you can really never be too safe. I’m always open to recommendations for ways to safeguard my personal well-being so I can just relax and enjoy the run. All of this is why I was really excited to give the Wearsafe Tag device and mobile app a try. The device is the only one like it that offers GPS, audio, and group chat options. You attach the Wearsafe Tag to your person (I just clip mine right onto the waistband of my running shorts). It pairs with the app on your smartphone. If you find yourself in an emergency or dangerous situation, you press the Wearsafe device. It sends an alert to everyone in your network. You create that network in advance by sending email requests (through the app). Once those people accept, they are added to your network and they receive alerts when you press the button. You can create different networks, too. For example, I created a family one and a running friends one. Only one network can be active at a time. 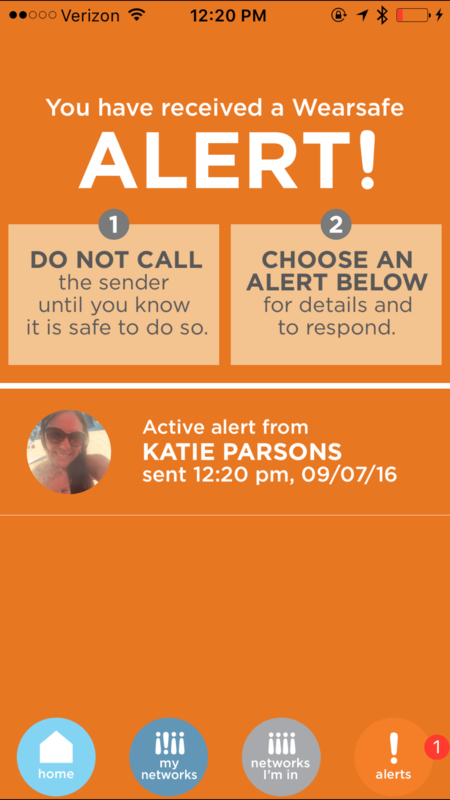 So you can decide which group makes the most sense for alerts based on what you will be doing. In both alerts, they could see my exact location and then pick an option to help me. Without talking to me at all, the people in my network could come to my location. They also had enough info to pass along to police or first responders. 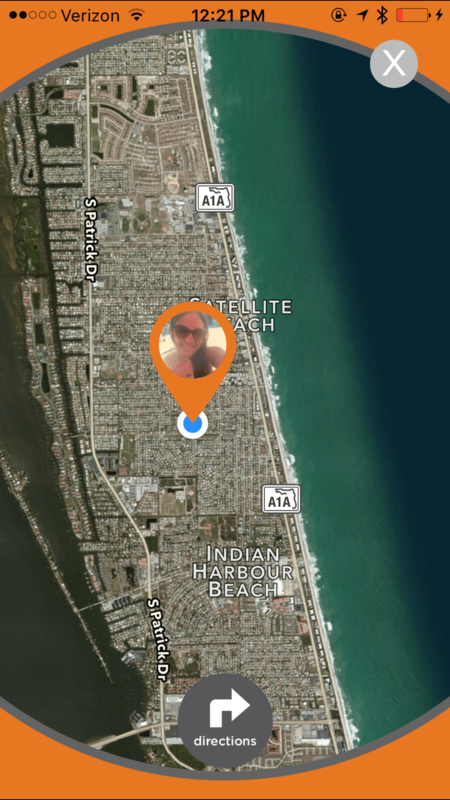 GPS information that includes an address and map of your location. Audio from the scene, accessed by the push of a button. It sends an audio file of 60 seconds before the “event.” Being able to hear what is going on gives the context of what is happening now. Group chat – all those in the selected network are in group chat to create a virtual situation room. It helps people connect as a team to address how to help person in distress and assess the situation. You and the people in your network have the ability to press a single button to call 911 inside the app. The Wearsafe Tag is compatible with both iPhone and Android. The Wearsafe Tag device is completely free, and the app costs $5 per month. It is the only product to offer audio, GPS and group chat. From a comfort perspective, I’ve worn it on about a dozen runs so far (some as far as 10 miles), and I barely even notice I am wearing it. In fact, I went to change out of my running clothes and had to go fish my shorts from the hamper later on because I didn’t notice the device on my waistband. I’ve told many of my running friends about it. They love the idea of just pushing a single button to access help, instead of trying to navigate their phones. If you don’t run with a smartphone, the Wearsafe Tag isn’t a good fit. If you bring it along anyway for fitness tracking or music, the additional safeguard of the Wearsafe Tag won’t inconvenience you at all. Beyond running, Wearsafe is a great way to stay safe in everyday situations (any parents sending a son or daughter off to college this fall?). 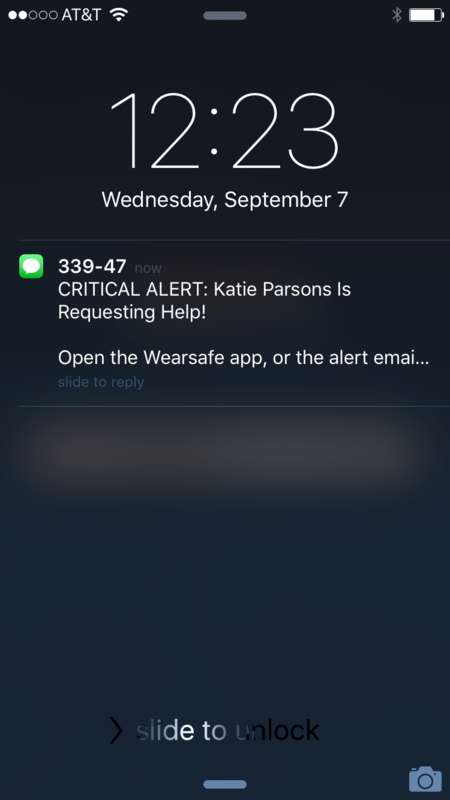 With an inconspicuous touch of a button, you can alert your loved ones to an emergency and give them specific details on how to help you. Interested in trying the Wearsafe Tag device yourself? Try it free by clicking here and let me know what you think in the comments.